Essential for any full outdoor kitchen setup, this brilliant new model features large sink bowl with a top quality Watermark certified mixer tap. It also includes a quality timber cutting board that fits over the sink, rubbish bin in the bottom drawer, detergent dispenser and paper towel roll holder. 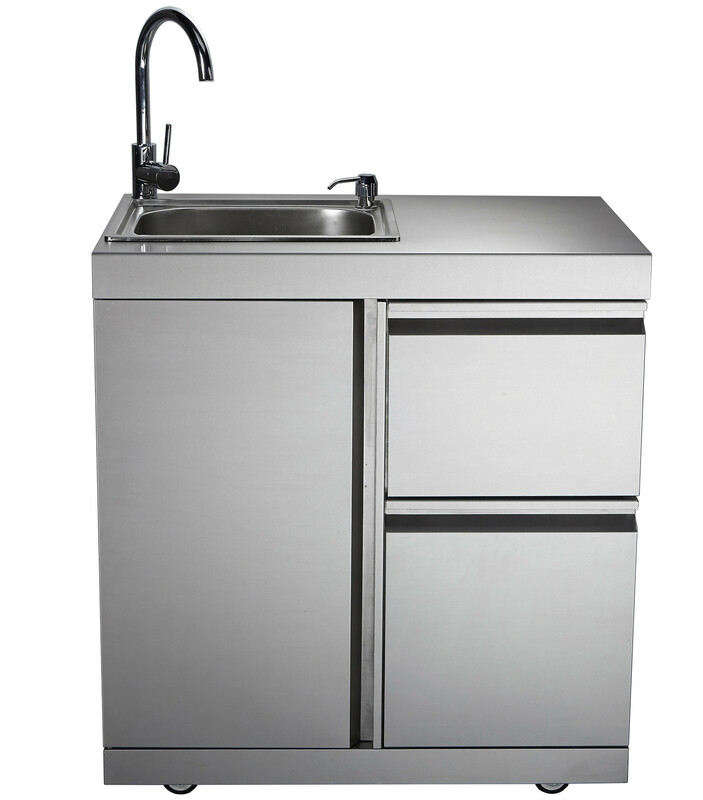 The Sink Module can be attached to all other modules and barbecues in he ChefMaster Galley series.